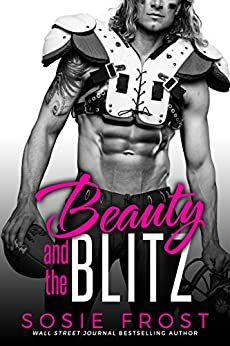 Beauty and the Blitz was a testosterone filled sports romance that was fast paced and easy to read. Told from dual POV of Piper and Cole who fight their instant chemistry when they are thrown together as agent and player. Their banter and witty comments frequently brought a smile to my face, as well as their internal dialogue. The Beast is certainly all beast which made the moments spent with Piper's young daughter Rose all the more sweeter. We were able to see the cracks in Cole's tough exterior. In my opinion Piper's father behaviour was inexcusable and I was disappointed in their relationship. This perhaps struck a nerve for me because I have lived the life of a single mum, but I did have the family support. There was also no old world, chauvinistic expectation that women are to get married, have babies and be a good little wife put upon me. This belief and expectation of Piper had me nashing my feminist teeth. Overall I enjoyed the story. I enjoy a sports romance even though I have absolutely no understanding of the game of Gridiron at all and the technical speak all went over my head. I would have like to delve a little bit deeper into the complex character that Cole was but I felt his connection to Piper and Rose all the same. 4.0 out of 5 starsFantastic read! I loved Cole and Paige. They had an awesome dynamic. I loved how Paige didn't give up on Cole. Sh put up with his eccentricities and hang ups. I laughed so hard when Paige babyproofed Coles home after moving in to protect her daughter Rose. It was hysterical! This big, huge 6'6 guy that can't open the fridge or cupboard doors...Oh and forgetting about the baby gates! This was enjoyable and I cannot wait for the next one! I couldn’t stop reading! Absolutely love this story. Made me feel so many emotions. Read this as a bonus novel in another of Sosie's books and had to leave a review for it - I enjoyed it that much! This is probably one of my favourite Sosie books thus far (and I do admit I'm still new to her books and writing). Cole and Piper couldn't be more different, but somehow that works. Piper doesn't give up on him, even when he gives up on himself. Rosie is just adorable and the perfect way to melt Cole's heart as well. 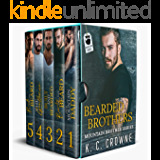 There are funny one-liners, lots of baby-related hilarity, and some D&M with a guy who considers himself broken, beyond fixing and not worth anyone's time. I loved how it played out, and how Piper was able to come to an arrangement/balance with her father in the end as well (he was horrible to her, but did eventually realise that and apologise so keep reading!). The ending was sweet and I'm glad that it all worked out for Cole in regards to his career decisions, but I would have liked a little more reveal from Cole as to why he was so angry - that was never really discussed aside from a passing comment about his father when he was a child. Surely there is more to it than that! I loved Piper's interaction with the new draft Lachlan and will be looking to read his book as well. ARC kindly provided by Sosie. A heartwarming story of a single mother getting her happy ending. Piper and Cole's story had me cheering for her being so strong willed and sanding up to Cole and fighting for what she wants. I loved this story and cannot wait to read more from Sosie Frost.